The Los Angeles Rams are headed to the Super Bowl to take on the New England Patriots on Sunday, February 3rd! We’ve got a list of the best sport to watch the game! 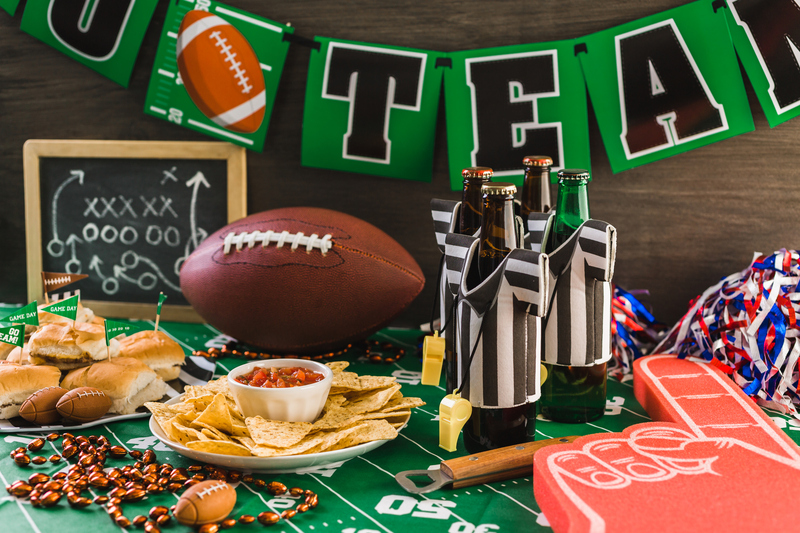 Whether you are looking for a fun night out or a place to watch the game with your family, check out the best places in Los Angeles to watch our home team crush the Patriots in the big game. Van Nuys sports bar, Springbok, is a Victory Boulevard staple for beers, burgers, sausages, and the like. Better still is the space, a pseudo-rustic recreation with sports memorabilia on the walls and a rather unique clientele holding down the stools. As one of the city’s few truly vegan-friendly gastropubs and sports bars, Tony’s Darts Away is home to some pretty good vegan bar eats (buffalo potatoes, anyone?) and boasts a robust tap list. the real heart of the place is the 3600-degree bar ready to pour from a long list of craft beer. San Diego export Crack Shack has been making big inroads into greater Los Angeles, including a new warehouse-y space off Green Street in Pasadena that features a back bar with multiple televisions, plus a standalone wall with four synchronized TVs showing one big image of the game. The Greyhound is the Eastside’s best sports bar, a place for wings and drinks and rooting fans that line up early, sometimes hours before the games even start. Without reservation, Barney’s Beanery is perhaps one of the premier places to catch a cheap stiff drink and a game. It helps that the place has so much history behind it. 40 Love may be the hottest place to catch the game in LA. The upscale sports bar from the H.Wood Group crew looks gorgeous, feels fun, and offers enough booze and food to ensure great people- and football-watching all at once. The Parlor is one of LA’s most iconic sports bars, a place for folks to drink (sometimes a lot), catch all the action from countless TVs, and scream to their hearts’ content. Sounds just about perfect for the Super Bowl. Barbecue, beer, and lots of TVs make Bludo’s a popular destination along La Brea for the football crowds. Arrive early or expect a big wait on game day. The Nickel Mine’s sharp digs boast exposed brick walls and dark woods, plus simple New York-style pizzas and a smart-looking bookshelf along the back. heir HD TVs will all be broadcasting the game, and you can sit back and relax knowing that everyone in the family can find something they enjoy on the menu. The kids menu offers such favorites as hamburgers, chicken tenders, hot dogs, quesadillas, noodles, and more.